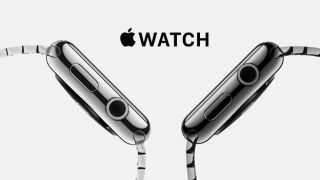 The virtual doors will open for the Apple Watch at 12:01 am PDT on April 10, Apple has revealed. The company updated its online Store page to reflect the exact time when customers can start placing iWatch orders. It makes for a late night if you live in the Pacific time zone, or a very late one if you reside on the East Coast. UK residents have a gentler 8:01 a.m. go time. With so many options of Watch to choose from, it may be a tricky proposition to pick one when you're still clouded in sleep. To help, Apple created a "heart" icon that users can place next to their favorite models. This saves Watch or Watches to their accounts so they're ready for comparing and buying when pre-ordering starts next Friday. The three flavors of iWatch are Watch Sport, Watch and Watch Edition. Each has a variety of models to choose from at varying price points, and we've created a handy Apple Watch price breakdown to walk you through the options. To give you an idea of what price points we're talking here, the most basic model starts at $349 (£299, AU$499) while the most lavish model is a $17,000 (£13,500, AU$24,000). Be sure to check out TechRadar's Apple Watch review and stay tuned in the lead up to pre-order day. We'll have plenty more coverage of Apple's wearable to chew on. Apple Watch vs Android Wear: who wins?